The Rule of 3. This is the heart of your Daily Outcomes. The Rule of 3 will help you stay focused on the vital few things that matter. Identify your three key outcomes each day, each week, each month, and each year. This helps you see the forest from the trees. The three outcomes for the year are bigger than the three outcomes for the month which are bigger than the three outcomes for the week which are bigger than the three outcomes for your day. This also helps you manage scope. It’s all too easy to bite off more than you can chew. Instead, first nail the three items you want to accomplish, and then bite off more. Think of it as a buffet of results and you can keep going back—just don’t overflow your plate on each trip. Monday Vision, Daily Outcomes, Friday Reflection. Decide three results you want to accomplish for the week. Decide what three results you want to accomplish each day. Make progress each day. At the end of the week, reflect on your results. Scannable Outcomes. Think of this as what’s on your radar. At a glance, you should be able to see what you want to accomplish and what you’re spending your time and energy on. Outcomes guide your actions. Keep your outcomes scannable at a glance. Organize outcomes by your work, personal, and life Hot Spots. For example, create a list of outcomes for your Life Frame Hot Spots: body, career, emotions, financial, fun, mind, and relationships. Daily Outcomes. Each day is a new chance for results. Use daily tickler lists for action items; create a new list each day. Each day, decide on three things you want to accomplish (The Rule of 3). Always start your list with your three most important outcomes for the day. 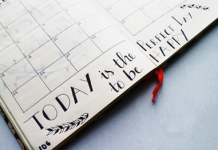 The key to an effective Daily Outcomes list is that you keep your three outcomes for the day at the top, while listing the rest of your to-dos below that. This way you have a reminder of what you want to accomplish. Weekly Outcomes. Create a new list each week. Each week is a new chance for results. Always start with your three most important outcomes for the week (The Rule of 3). Strong Week. Each week focus on spending more time on activities that make you strong and less time on activities that make you weak. Push activities that make you weak to the first part of your day. 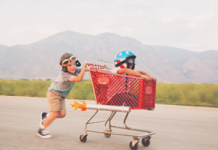 By doing your worst things first, you create a glide path for the rest of the day. Set limits; stuff the things that make you weak into a timebox. 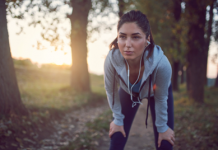 For example, if the stuff that makes you weak is taking more than 20 percent of your day, then find a way to keep it within that 20 percent boundary. This might mean limiting the time or quantity. Sometimes you just can’t get rid of the things that make you weak; in that case, balance it with more things that energize you and make you strong. Apply this to your week too. Push the toughest things that drain you to the start of the week to create a glide path. Do the same with people. Spend more time with people that make you strong and less time with people that make you weak. Be careful not to confuse the things that make you weak with challenges that will actually make you stronger. Grow yourself stronger over time. Timebox Your Day. Set boundaries for how much time you spend on things. If you keep time a constant (by ending your day at a certain time), it helps you figure out where to optimize your day and prioritize. To start, you can carve up your day into big buckets: administration, work time, think time, and people time. Triage. Triage incoming action items to either do it, queue it, schedule it, or delegate it. Do it if now is the time: it’s the next best thing for you to do; now is the most opportunistic time; or it will cost you more pain, time or effort to do it later. Queue it (add it to your queue) if it’s something you need to get done, but now is not the right time. Schedule it if you need a block of time to get the work done. Delegate it if it’s something that should be done by somebody else. Monthly Improvement Sprints. Pick one thing to improve for the month. Each month, pick something new; this gives you a chance to cycle through 12 things over the year. Or if necessary, you can always repeat a sprint. The idea is that 30 days is enough time to experiment with your results throughout the month. Because you might not see progress in the first couple of weeks while you’re learning, a month is a good chunk of time to check your progress. Growth Mindset. This is simply a decision—decide that you’ll learn and grow. If you get knocked down, you’ll get up again. You decide that no problem is personal, pervasive or permanent. Life is not static. Neither are your results. Action Lists. Track your actions with tickler lists. Consider the following action lists: Daily Outcomes, Weekly Outcomes, Queues, and Scripts. Reference Collections. Some information is not actionable. Yes, it might be helpful information, and yes, it might be good to know. But if it’s not actionable, then it’s reference. You can store your reference information as tickler lists or notes. Here are some example reference lists you might keep: Ideas, Notes, Weekly Results, Monthly Results, and Yearly Results. 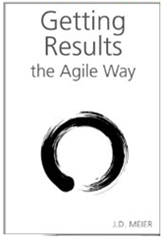 Previous articleAre You Doing Agile Results?